At first, jumping out of a perfectly good plane or helicopter isn't the most rational thing to do, but having done it, it is impossible not to feel like you have just experienced a life changing moment. The 15-20 minute scenic flight up is alone breathtaking, but the realisation of what you are about to do kicks in as your highly trained and qualified instructor starts tightening your harness straps and shuffling towards the open door of the aircraft. 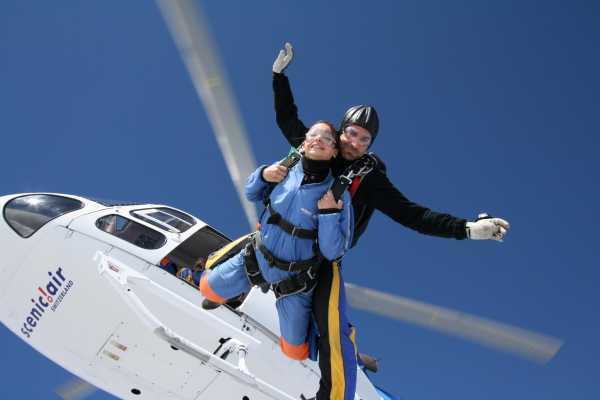 With you feet hanging over 12,000 ft of open air, your instructor smiles at the camera and launches you out into the void. 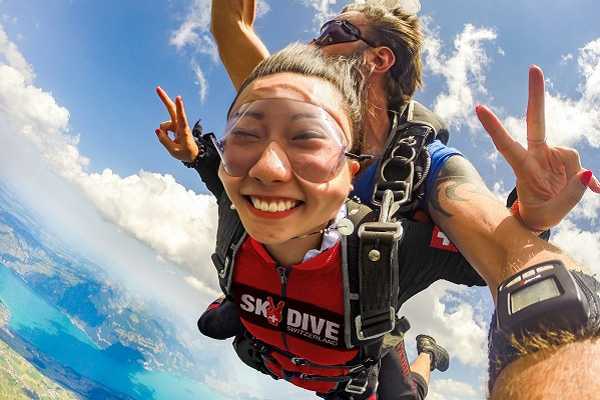 By the time you are aware that you are freefalling 200km/h towards the ground, your face is already beaming from ear to ear as the majestic scenery of the swiss alps screams by. The 45 seconds feels like an eternity, but eventually comes to an end as the parachute opens and you begin to breathe again and enjoy the flight back to the ground. When your legs have stopped trembling you realise what you have just done and can't wait to tell everyone about it!